Announced today are French electronica/space rock pioneers Air. Supporting Jean-Michel Jarre on Saturday night, Air’s signature cinematic, psychedelic sound architecture is the perfect scene-setter for the day’s finale. Also joining Saturday’s bill is The Warehouse Project’s infamous resident selector Krysco while on the other end of the DJ spectrum BBC Radio 6 Music’s Marc Riley will be warming up the main stage with his trademark eclectic set. Bluedot is thrilled to present a brand new artwork by the iconic Brian Eno, designed specifically for Jodrell Bank. It is a unique projection piece displayed across the magnificent Lovell Telescope which for the duration of the festival will be in the zenith position. This position points the telescope directly upwards tracking the cosmos as it drifts overhead. Jodrell Bank astronomers including Associate Director Tim O’Brien will use the telescope to gathering data during the festival. Following critical acclaim for last year’s third album, Beings, Newcastle's Lanterns On The Lake have teamed up with renowned Royal Northern Sinfonia in a unique collaboration. 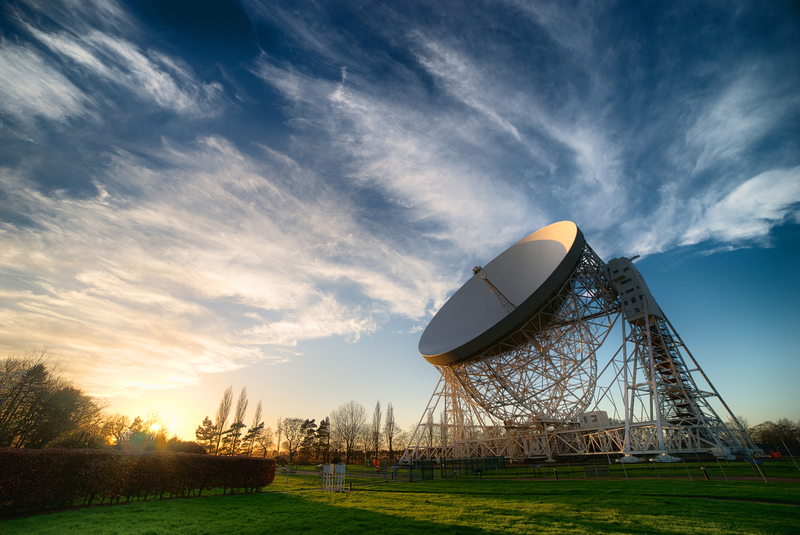 The performance on the main stage at Jodrell Bank will see the band play material from their three critically acclaimed albums accompanied by the world renowned orchestra. Performing on the Orbit Stage, Be play One is a unique, mesmerising live collaboration between an artist, a scientist, half of Spiritualized and 40,000 real life bees. Inspired by the plight of the honeybee it was described by The Guardian as a brilliant 'transcendental drone symphony between man and bee’. 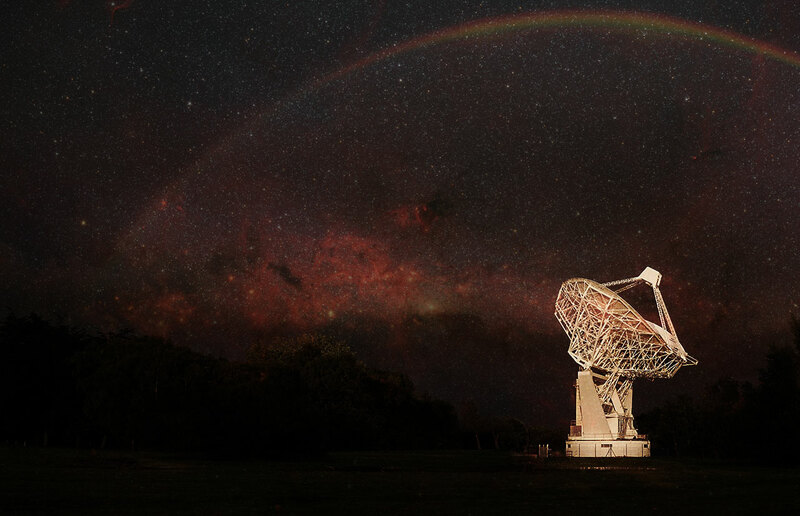 Elsewhere on the Cosmic Culture programme is the Contact Stage, home to a stellar bill of science and space-related authors and presenters, all bringing their experiences to Bluedot. First Light is a unique celebration of the brilliant sci-fi author Alan Garner, whose numerous awards include the Hans Christian Andersen award (the Nobel prize for children’s literature) and the World Fantasy Award for Life Achievement. Alan Garner has been inspired by Jodrell Bank throughout his career. Hosted by Erica Wagner, editor of First Light, a new anthology celebrating Garner’s work. We’re delighted to confirm Alan Garner will be making an extremely rare appearance at Bluedot, to sign books. Andrew Smith, author of the brilliant international bestseller Moondust: in Search of Men Who Fell to Earth, will be talking about his experience of tracking down every astronaut who walked on moon between 1969 and 1972, and how if effected them. Andrew will also be talking about meeting the people who have signed up for a one-way ticket to Mars, as part of the Mars One project. Appearing at the Science Garden, Urban Astronaut is a bold new direction in physical theatre providing a glimpse of a future that might be...where problems surrounding air pollution have grown to a crisis point, is there any way back? Combining stunning design and a unique travelling flying machine with simple storytelling and a moving dance performance that appeals to all ages, Urban Astronaut searches for a solution to the environmental disaster that is present in our near future. The Cosmic Culture line-up also includes Hello Moon Can you Hear Me? a unique audio-visual exploration of the universe featuring signals from spacecraft at the dawn of the space age, the death throes of an exploding star and the sounds which flooded through the universe after the Big Bang. Music producers Jim Spencer and David Tolan have worked with astrophysicist Tim O’Brien to remix sounds from space creating a unique record released on the O Genesis label. 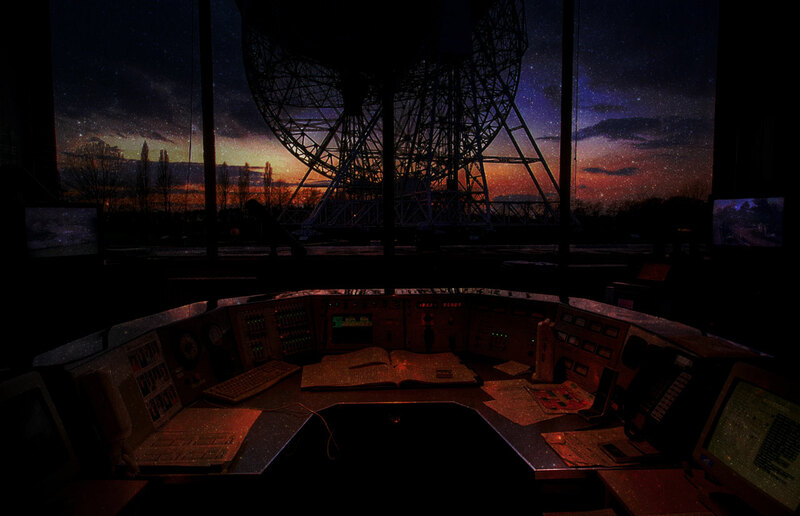 The title “Hello Moon” echoes the recording of a voice bounced off the Moon made more than 50 years ago right here at Jodrell Bank. Bluedot is also proud to announce a specially curated, science-flavoured comedy bill. It includes Helen Keen and her award-winning It Is Rocket Science stand-up show, Helen Arney & Steve Mould from Festival of the Spoken Nerd, Dr. Steve Cross’ clever chaotic cabaret Science Showoff, James Veitch’s hilarious Dot Con show that charts his correspondence with a host email scammers and con artists, live & interactive comedy game show Wifi Wars (remember to bring a charged smartphone!) and Foxdog Studios surreal and interactive show described by Timeout as “ridiculously good fun and mightily impressive”. Robin Ince, Tiernan Douieb and Adam Kay will also be performing their side-splitting solo shows. Gourmets can also expect to find out-of-this-world food at the Restaurant at The End of The Universe. One of the galaxy’s most respected and acclaimed chefs and restaurateurs - Aiden Byrne - has created a stratospheric seven-course menu especially for the event, which takes diners on a space odyssey, navigating an entire cosmos of experimental tastes, for a truly off-world dining experience. Inspired by intergalactic travel and exploration, the chef has taken his cues from astronomy, the cosmos and futurism, with rehydrated and freeze-dried meals normally found on manned missions being replaced by gourmet courses that celebrate space exploration and science. Tickets are strictly limited to 400, are on sale now and expected to sell out fast.